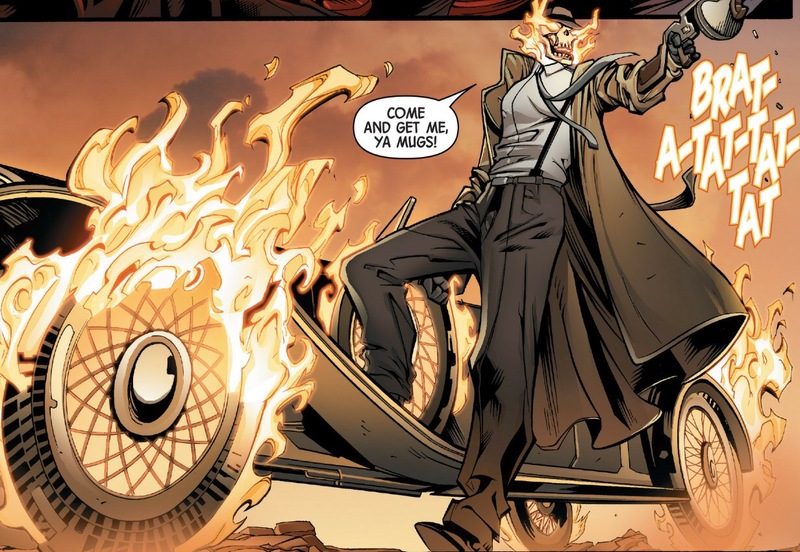 Author Ray CornwallPosted on June 11, 2015 June 10, 2015 Categories ComicsLeave a comment on Monday Morning Secret Wars 7: Come and get me, you mugs! 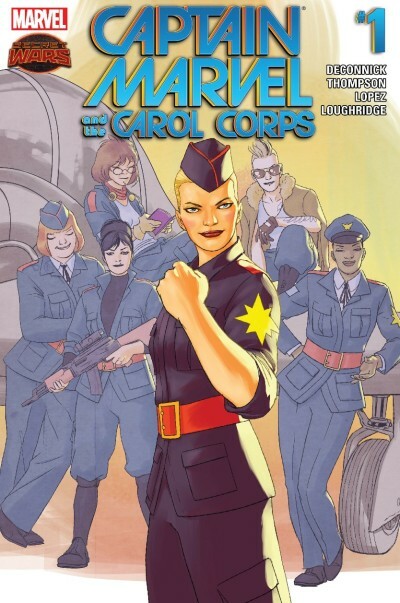 Author Ray CornwallPosted on June 9, 2015 Categories ComicsLeave a comment on Monday Morning Secret Wars 6: OK, it’s Tuesday, sue me. First of all, an apology. 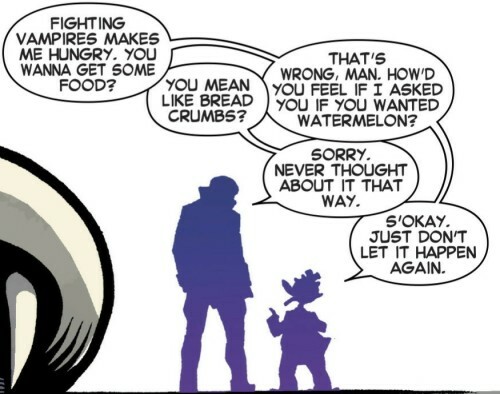 I’m a bit behind on the reading and writing of Secret Wars. 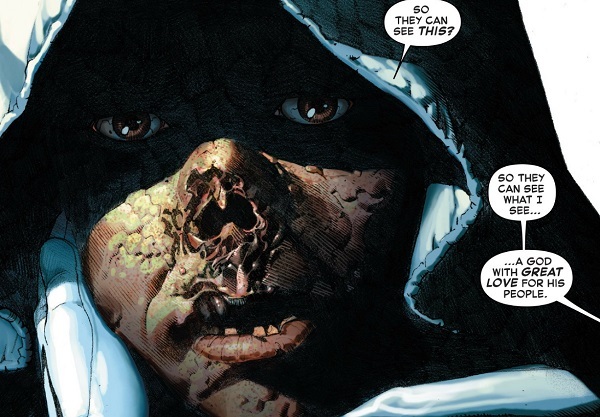 That violates the covenant I made with you, my audience, to keep up with the weekly deluge of Secret Wars books. I’m working on catching up, and I’ll try to be better on this in the future. Second, I want to mention Al Ewing, who’s writing two critical books during this crossover: Captain America and the Mighty Avengers and Loki, Agent of Asgard. If you only read Marvel comics, you might think Al’s a newcomer to comics, as these have been his only two series for Marvel (along with the Mighty Avengers series that preceded CAATMA). But he’s not a rookie at all- his first published comics work came back in 2002 (for the British weekly 2000 AD), and he’s written six novels. His American debut was on Garth Ennis’s Jennifer Blood book four years ago. He’s worked with big artists, including one of my all-time favorites, Brendan McCarthy, on Zaucer of Zilk. Most of his previous work would not be considered superhero work (unless you consider Judge Dredd comics to be superhero books, and I sure don’t). But it’s clear from his work in the Avengers books he’s penned that he understands the genre well. His books are fast-paced, peppered with witty dialogue, and feature plots where characters have to grow or move past an inherent flaw to succeed. For example, Power Man (not Luke Cage, but a newer character) has to spend countless hours reading and studying history to fully utilize his powers. 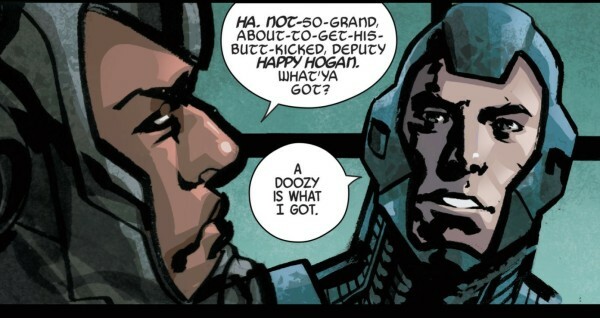 Luke Cage (no longer Power Man, but the head of the group) has to reconcile with his estranged father to save Blade. 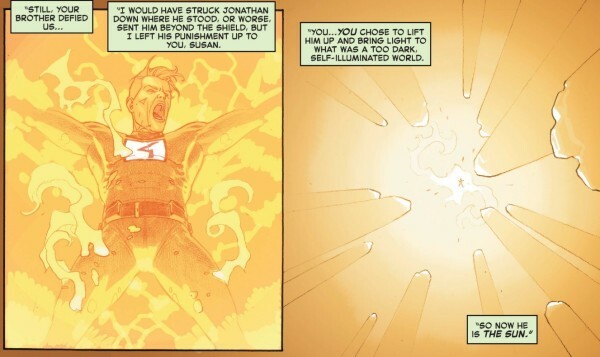 Blue Marvel has to fight his one son and possibly kill his other son to save the Earth. Notice the lead to the page and the character intros. Great tools for new readers. 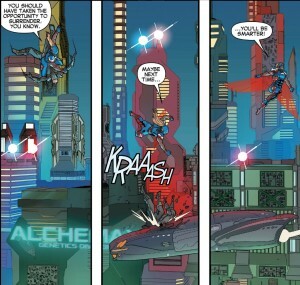 In addition, Ewing really understands the mechanics of the comics page. 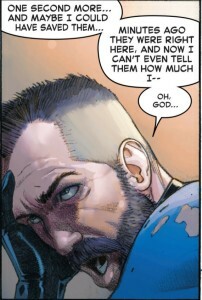 In both Avengers and Loki, he’ll start a story beat by utilizing a quick caption box with the name of a character and a quip that’s both funny and provides a bit of exposition. I’ve also noticed that, in Cap/Mighty 8, he borrowed an old trick that I’ve always attributed to Christopher Priest back in his Quantum & Woody days. He’d give subtitles to sections of the issue and open the comics page with a black panel with a strong white font. It’s really the same trick that’s used in Law & Order- you hear the “dum dum” sound, screen goes black, and a time stamp is shown to the viewer. It’s a great technique to tell the viewer (or in comics, the reader) to pay attention, because here’s some new stuff for you. It doesn’t get used by a lot of comics writers, and I always wondered why. I think most comics writers get so caught up in the story mechanics (what’s my theme? where’s the witty dialogue? what’s the objective of this issue) that they miss out on little tricks that can be used to make it easier for the readers to get sucked in. Ewing, though, will use those tricks, and his work is well-served by it. Why am I pointing out Ewing this week? Because I’m talking about crossovers, and man, does Ewing have to know about crossovers. 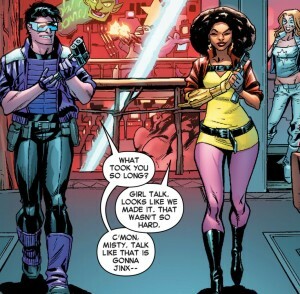 Mighty Avengers 4.INH and 5: See that weird issue number? 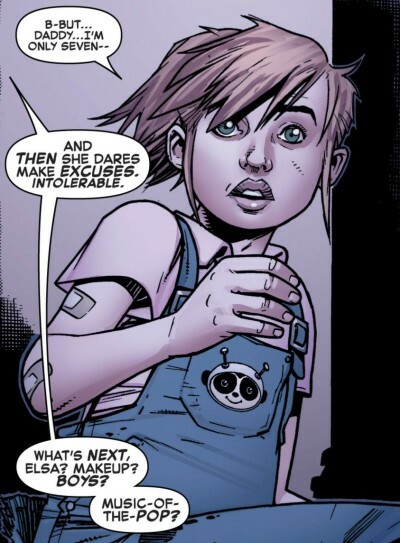 It meant that it had to tie in with the Inhumanity crossover that was running through Marvel that month (even though Inhumanity was only a two-issue prequel that led to the Inhuman series). The Inhuman stuff is actually pretty essential to the plot. 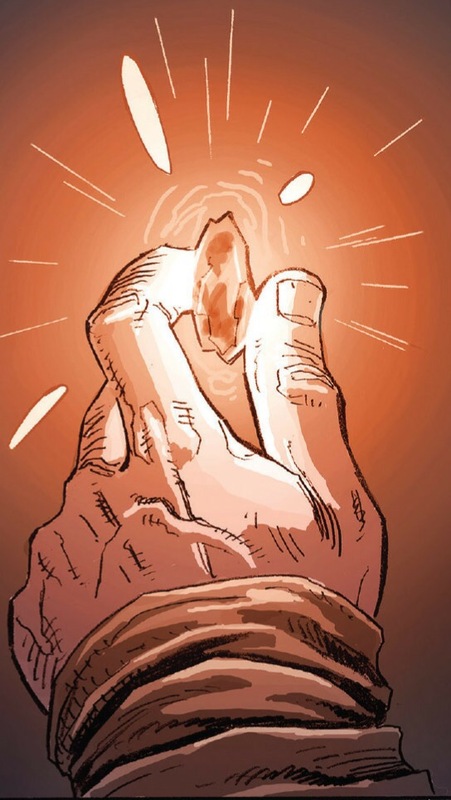 Mighty Avengers 10-12: Tied to Original Sin, and DEEPLY tied at that, since Blue Marvel had been established as a friend of the murdered Watcher, and the “original sin” that Luke Cage had to deal with involved his estranged dad. Mighty Avengers 13-14: Crossover-free, although these issues have to wrap up all the “season one” threads from this run, because AXIS was coming! Cap and MA 1-3: Deeply tied to AXIS, where because of a thingy thing thing, the new Captain America (was the Falcon) is brain-addled and acting like a bad guy, so he’s working with similarly affected Tony Stark to defeat the Mighty Avengers. Again, the crossover is a deep part of the plot. Cap and MA 4-7: Crossover-free again! Cap and MA 8 on: Tied in (deeply) with Secret Wars. 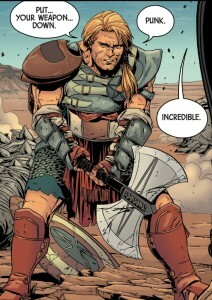 And he’s not free of this on his Loki book, either. There’s been fourteen issues of that title, and four were tied to Axis. #14 starts the Last Days run. So not as problematic as MA, but still, five out of fourteen. Ewing never seems to complain, though. 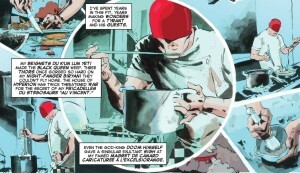 In fact, you can argue his books have been better when they’ve been part of a crossover event. He seems to rise to the occasion when he has to work the overarching story into his books. The Original Sin books of MA were fantastic. 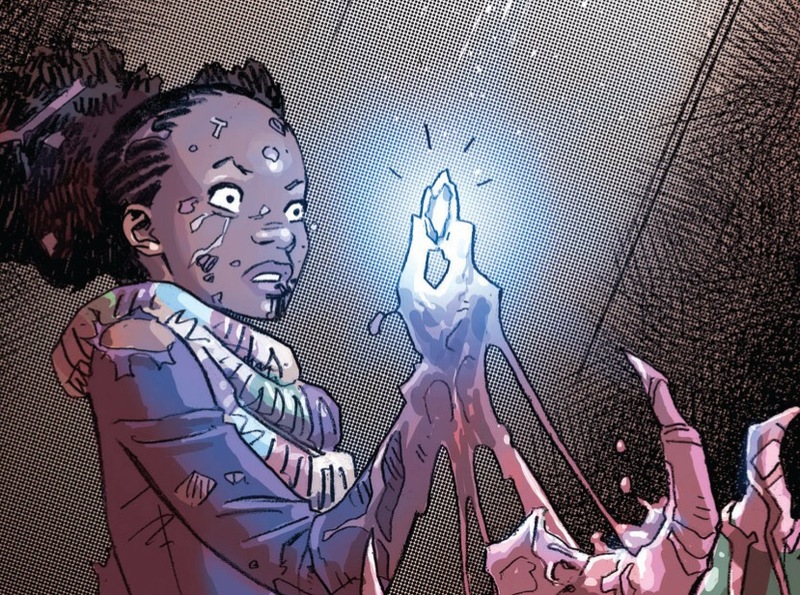 Blue Marvel vows to find the killer of Uatu, but instead is reminded that he’d be better helping play godfather to Uatu’s still-gestating child. Ewing also gives us a nifty 70’s blaxploitation sequence with Luke Cage’s father that ties into the Original Sin theme. 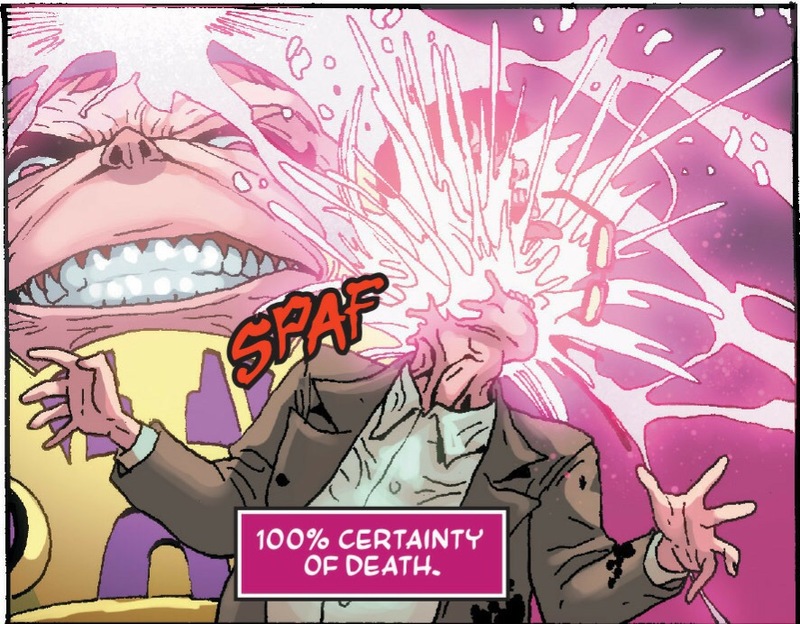 And as I mentioned last week, the Cap and MA #8 issue tying into Secret Wars was fantastic, hitting a home run by having these characters confront Reed Richards on keeping the end of the world secret from others. 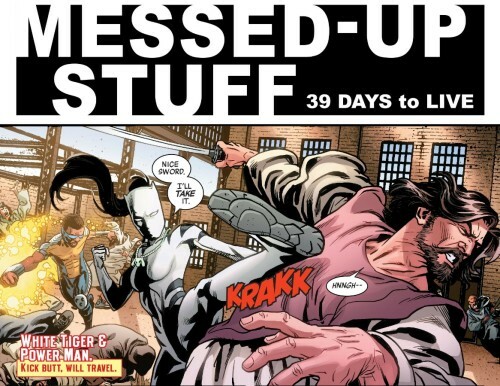 Al Ewing is using the Secret Wars event, and others, to show the world that he’s a great superhero comics writer. 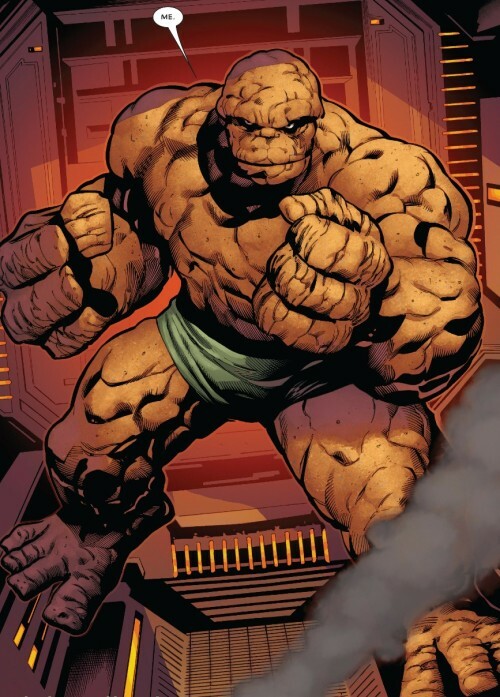 He’s hoping that Marvel is paying attention and gives him a juicy assignment in the post-Secret Wars universe. Good. Glad we got that settled. Look at that recap page! That’s an awesome recap page when your book is in the middle of an “Everything Dies” storyline- no running gags or cartoony characters. Black background, stark text, no games involved. Nicely done. 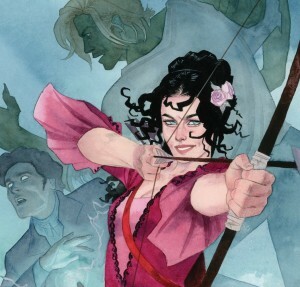 Loki #14 does a fantastic job of introducing new readers to the book, which is great, as I’m sure this book got a sizable sales jump for playing in Secret Wars waters. 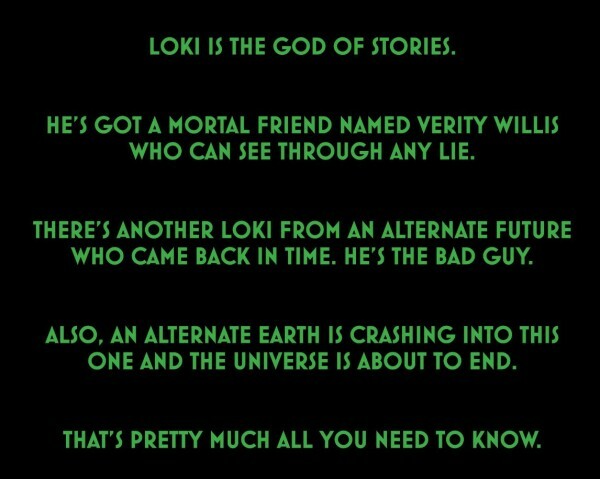 It’s actually principally focused on Odin, Loki’s sorta dad, as he’s exposed as the Chicken Little of the Marvel Universe. 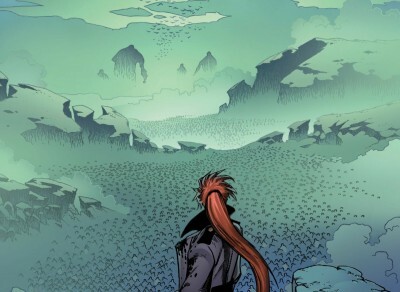 He’s told everyone that everything is ending so often that this time, no one believes in. It’s a great use of the Odin character, and the reader is left with the impression that this book is important to the crossover. Another strong outing by Ewing. This issue seemed really heavy on the exposition/talking heads, actually busting out a nine-panel grid of Magneto talk to his long-neglected daughter, Polaris. 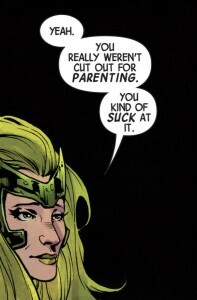 There’s a lot of angst here- not only is Magneto a bad parent, but he never really did save the mutants from the scourge of humanity, did he? But now, he’s got to fight! Fight for…what exactly? Dude, universe over. Go have a tea party with your daughter. This is a strange book, and I can’t figure out why someone thought this was a good idea. 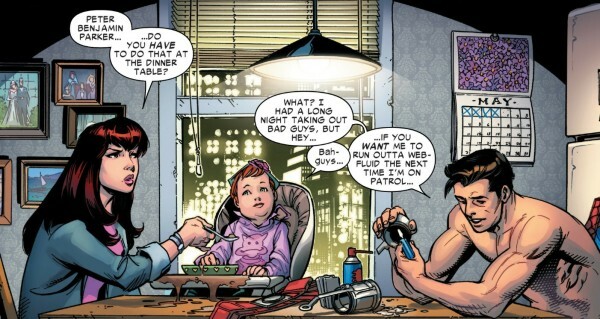 Magneto might be the worst parent in comics, actually. One of the mandates of Secret Wars is to take old, outdated Marvel concepts, give them a new spin, throw them against the wall, and see if they stick. This is really hard to do; most of the time, the revamped concept is still just as dated, and now has the baggage added by the remix. An example of this is DC’s Gen13 book, a white-hot book when it first came out 20 years ago. Nowadays, however, any book with these characters dies on the vine, because there’s just no way to scrub out the totally awesome gnarliness of the stuck-in-the-90s premise. 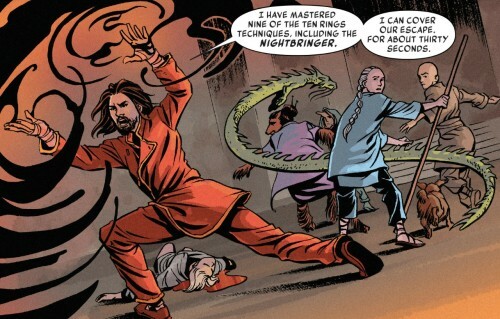 As a veteran of crossovers, I’ve seen Marvel try more than once to re-ignite the Master of Kung Fu book. 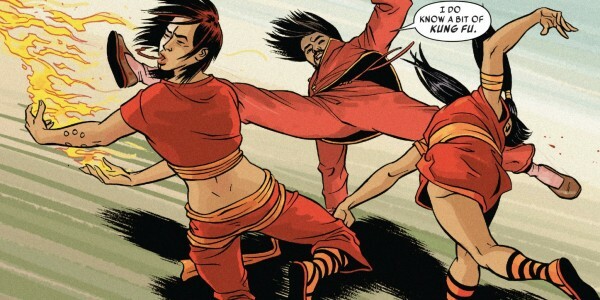 It’s a doubly hard challenge; not only did the Kung Fu craze die out in the 70s, but Marvel can’t use the book’s original villain, Dr. Fu Manchu, as they no longer hold the license from the Sax Rohmer estate. It’s like trying to write a Fantastic Four comic without Dr. Doom, or Superman without Lex Luthor. 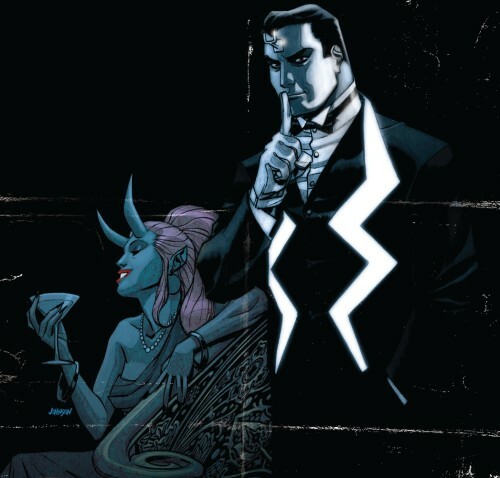 That hasn’t stopped Marvel from trying; he’s been involved in Heroes for Hire, Shadowland, Secret Avengers, Killraven (! 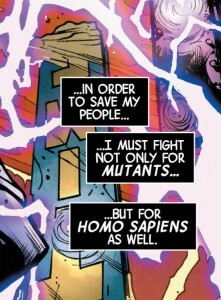 ), House of M, Marvel Zombies, Spider-Island, Ultimate Marvel, and even Marvel Apes. And yet, every time, no matter how earnest the attempt, the audience just doesn’t fall in love. This time, Marvel tries a Drunken Fighter spin on the character, and it’s incredibly fun. Haden Blackman, best known for his Star Wars work, brings a crassy edge to the book, and uses characters not seen in a Marvel book recently (Callisto! Moondragon! Typhoid Mary!) to give it the perfect feel. Blackman’s Elektra book was a critical darling but a commercial failure. Perhaps this book will get him the success he deserves at Marvel; either way, it looks like a fresh, fun ride. It’s got Captain America riding Devil Dinosaur. 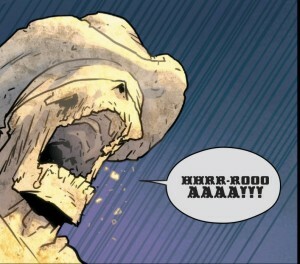 Also, he talks like Clint Eastwood. What more do you want? In a crossover this big, you’re going to get a few stinkers. This is one of them. The book’s made up of two stories, and neither are compelling or essential to the overall story. 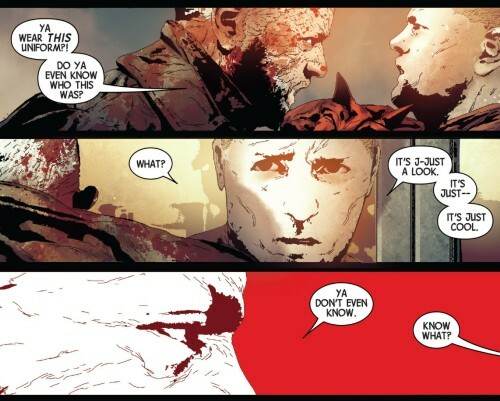 The first one involves Punisher hosting Dr. Strange’s soul to get across the Battleworld areas, and never gets going. The second one is an all-MODOK story, and yet I never felt like I cared about any of the MODOKS, let alone all of them. It’s possible that if these concepts had more room to breathe, they would have succeeded, but they don’t, and the book is an inconsequential trifle. 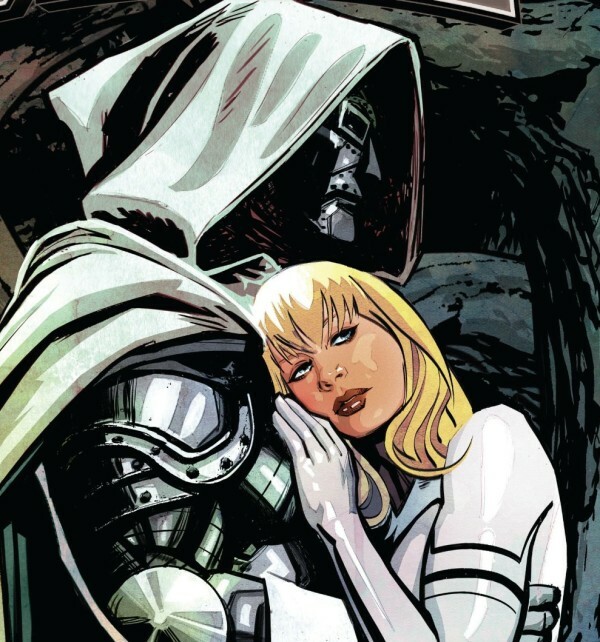 The nice thing is that it’s an anthology, so just because this issue didn’t work doesn’t spell doom for the entire series. Perhaps the next one will be better. I’ve talked about my love of Dan Slott on GAR! I think he’s one of the top five superhero writers working in comics today. His run on Amazing Spider-Man (and Superior, of course) is one of the best, if not the best, Spidey runs of all time. Spider-Verse was Dan playing to his strengths. He took numerous characters that were either new or marginal to the audience and had everyone deeply caring for them by the end. When the story was done, I wanted more. And here we are- we got more! Unfortunately, we don’t have Dan on this book (his Secret Wars book, Renew Your Vows, is coming soon). 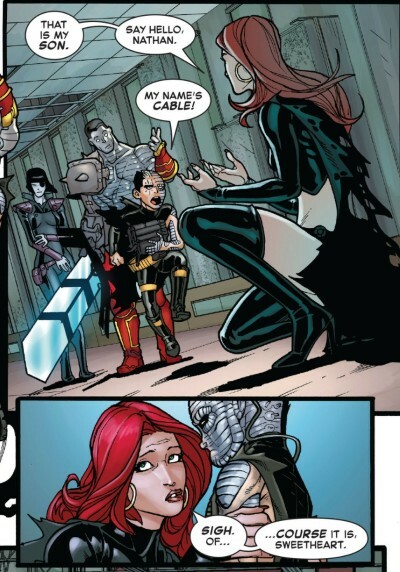 But we do have Mike Costa, who’s a very good writer on his own (and did a great job on the Scarlet Spiders book during the Spider-Verse event). And we get Peter Porker, the Spectacular Spider-Pig. So I’m in. 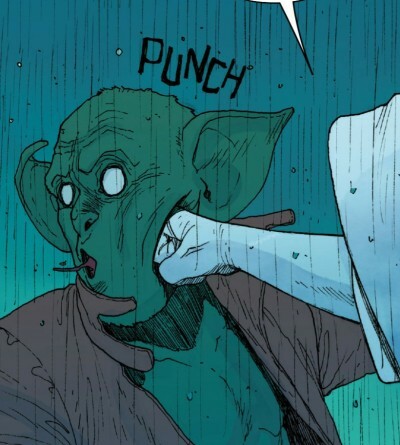 Also, why wouldn’t you buy a comic where punches are emphasized with the actual word “punch”? And finally, we save the best for last. Right?…right? Sadly, no. 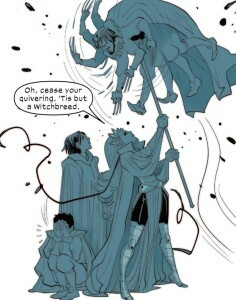 This, in fact, might be the worst of the first round of Secret Wars books, and it’s a damn shame. This book has the big guns- Brian Michael Bendis and Mark Bagley, the superstar duo who shepherded Ultimate Spider-Man to success. This book has every Ultimate character known to man (except Miles Morales, the current Ultimate Spider-Man, because he’s in the main book, I presume). 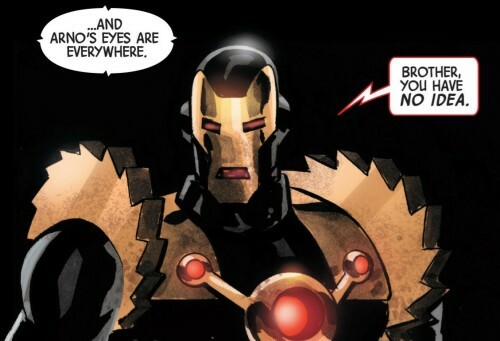 It’s got Ultimate Alcoholic Tony Stark meeting Marvel 616 Tony Stark (but is he still Superior?). 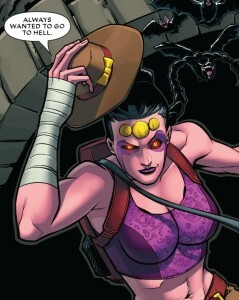 And it’s got Bagley on art, presumably drawing most of these characters for the last time. And yet, it’s a stinker. 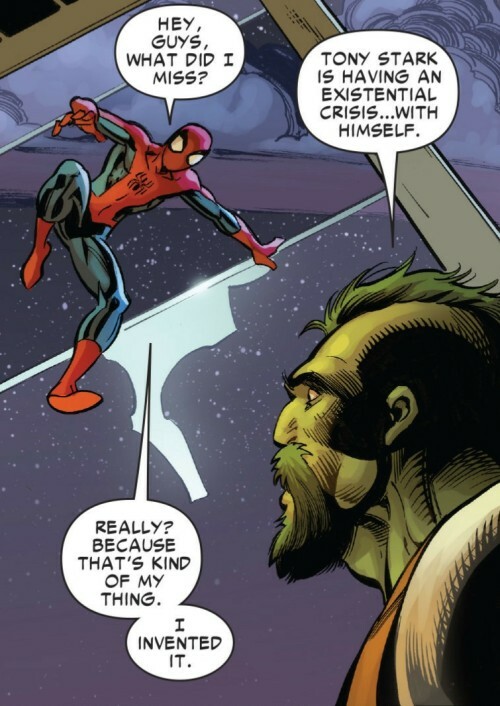 It’s a galling stinker, because these guys have made tons of good comics before, and yet, working together for the last time on the Ultimate Universe, they whiff. 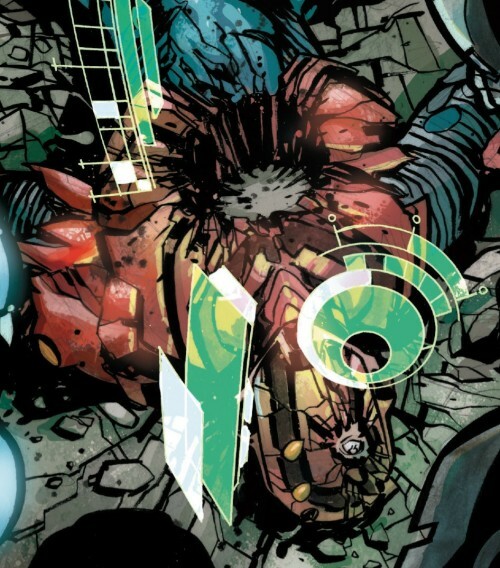 Multiple pages where the gag of Spider-Man’s exposed identity in the Ultimate Universe bombs. An unbelievable opening sequence where the Ultimate Punisher laments not killing off the Ultimate characters sooner (if that’s a metajoke, it doesn’t work, especially since he killed Ultimate Peter Parker). And a sequence where both universes’ characters meet that reads more like “Who’s On First” than a pivotal moment in comics history. For years, Marvel held off on crossing the two universes over. That’s probably a good thing (and it led to the Marvel Zombies concept, which made them a ton of money). But any novelty or coolness that would have come from this moment was long ago squandered by the neutering of the Ultimate line, and there’s really nothing here to get excited about. Even the alternate cover by Skottie Young showing Bendis doing a mic drop feels overplayed. Don’t take credit for this one, Spidey. Let it ride. Coming up- last week’s books reviewed! Thanks for reading. Drop me a line in the comments, or send me a tweet at @raycornwall.